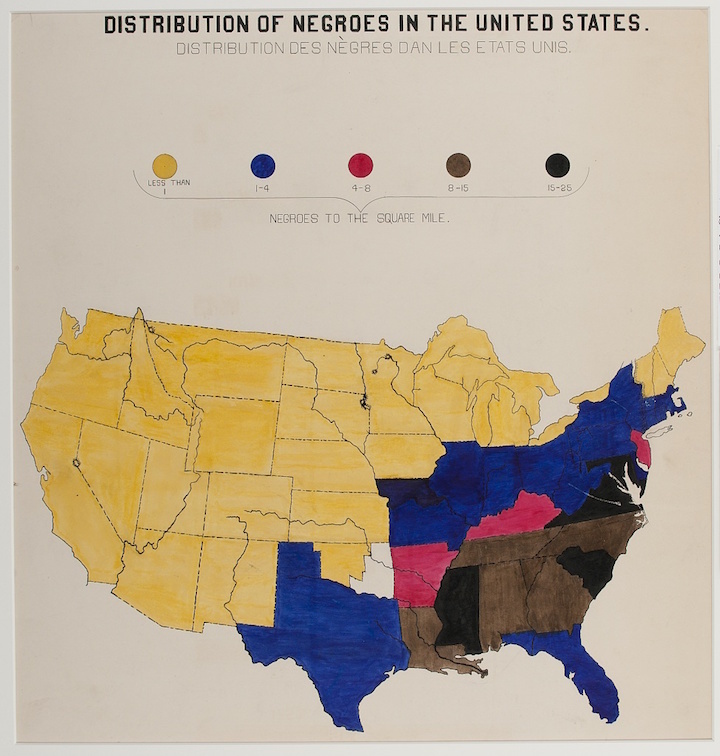 In addition to an extensive collection of photographs, four volumes containing 400 official patents by African Americans, more than 200 books penned by African-American authors, various maps, and a statuette of Frederick Douglass, the exhibition featured a total of fifty-eight stunning hand-drawn charts (a selection of which we present below). 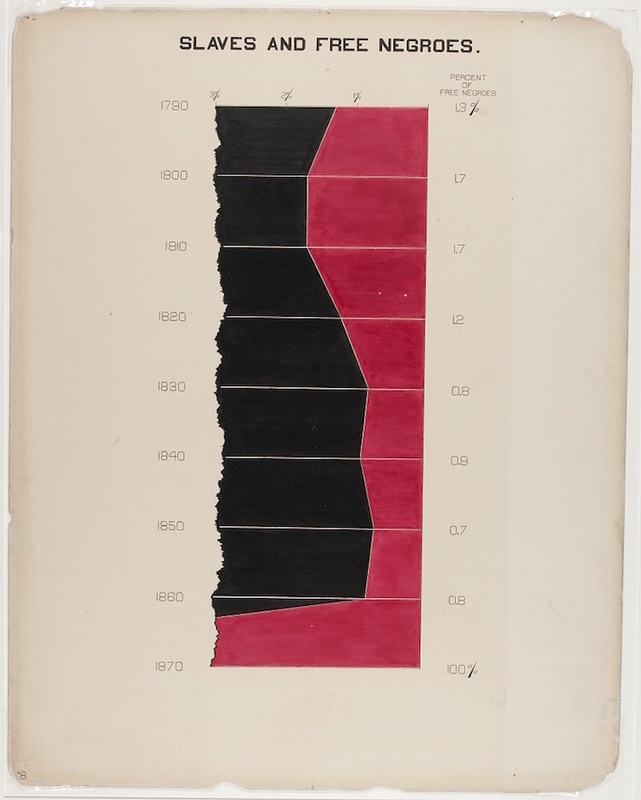 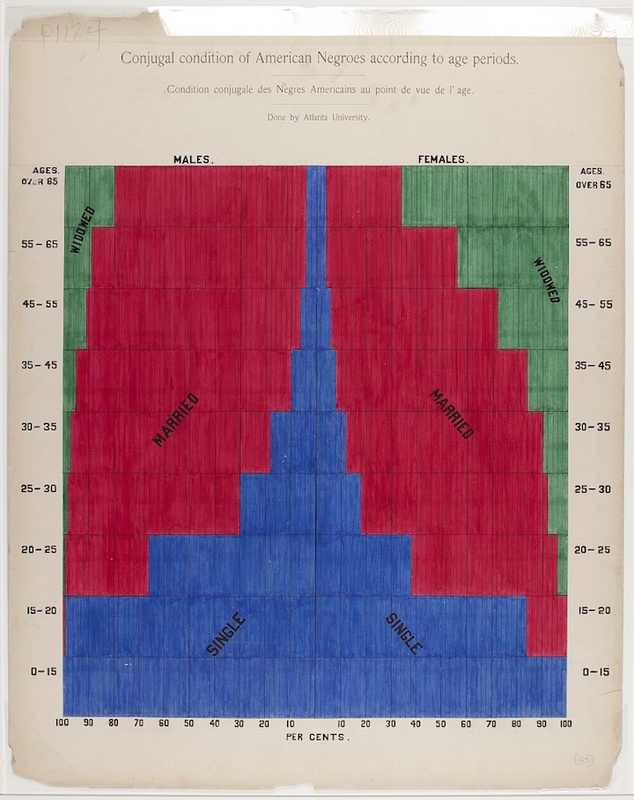 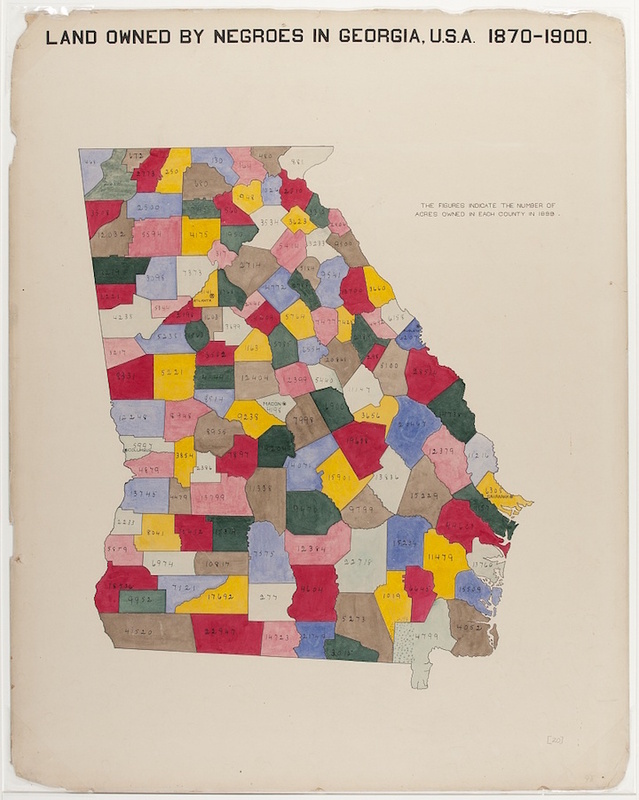 Created by Du Bois and his students at Atlanta, the charts, many of which focus on economic life in Georgia, managed to condense an enormous amount of data into a set of aesthetically daring and easily digestible visualisations. 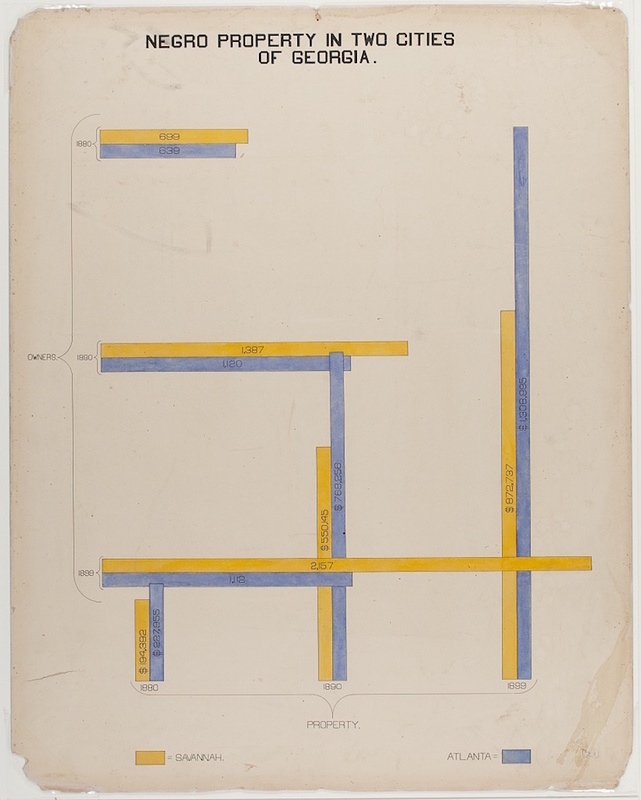 As Alison Meier notes in Hyperallergic, “they’re strikingly vibrant and modern, almost anticipating the crossing lines of Piet Mondrian or the intersecting shapes of Wassily Kandinsky”. 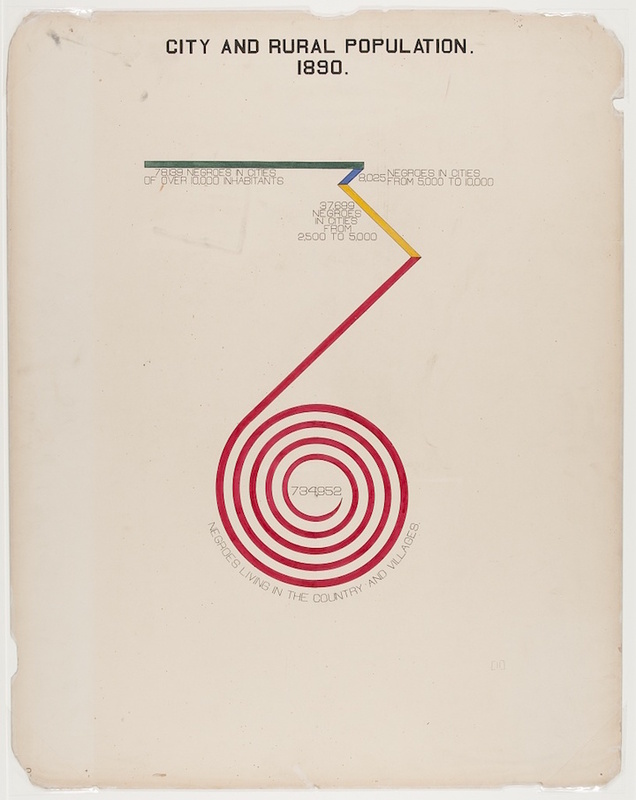 While the exhibition was pretty much ignored by the mainstream US press, it can be seen as very much a milestone in the fight for equal rights. 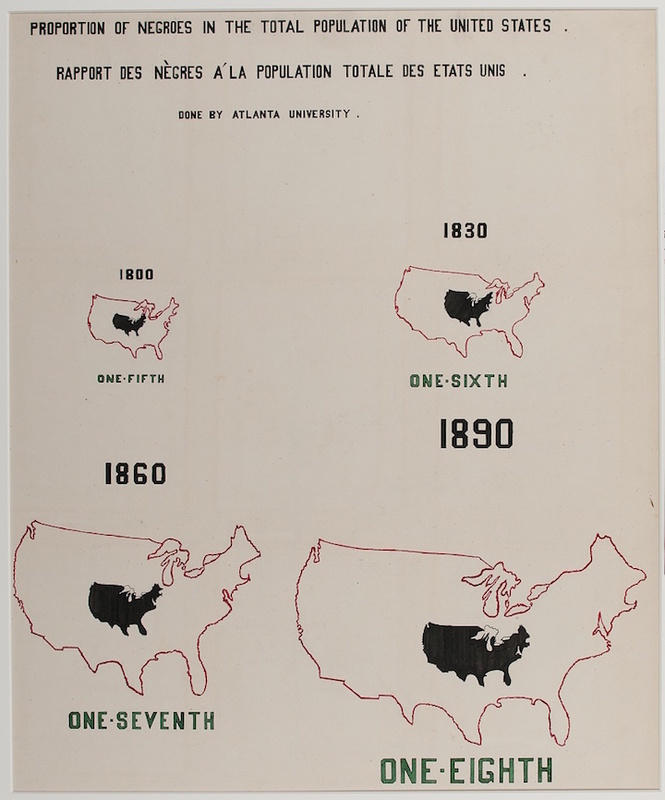 Although separate from the main United States national building of the Paris Exposition, “The Exhibit of American Negroes” occupied one fourth of the total exhibition space allocated to the US in the multinational Palace of Social Economy and Congresses, and an estimated 50 million people passed through during the 7 months it was up. 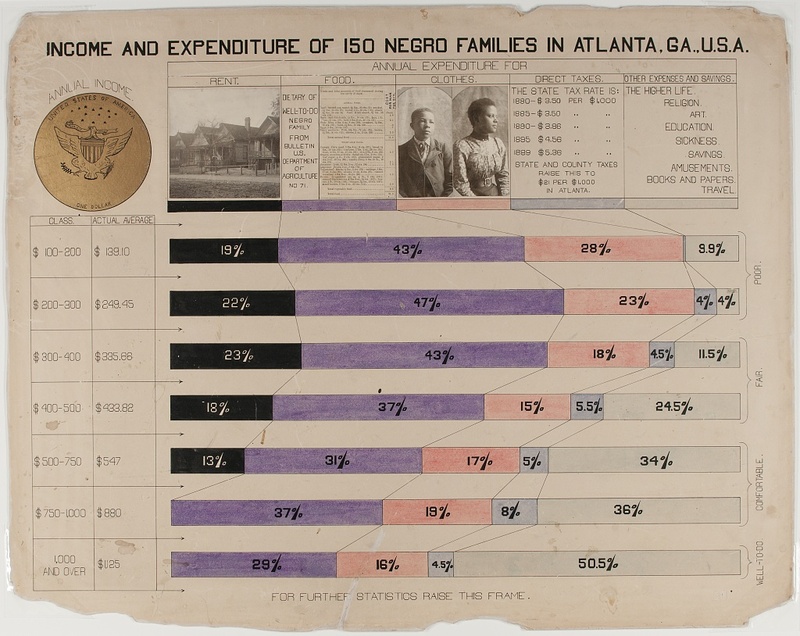 Back home Black periodicals like The Colored American wrote extensively about the project, and no doubt galvanised a new generation of activists. 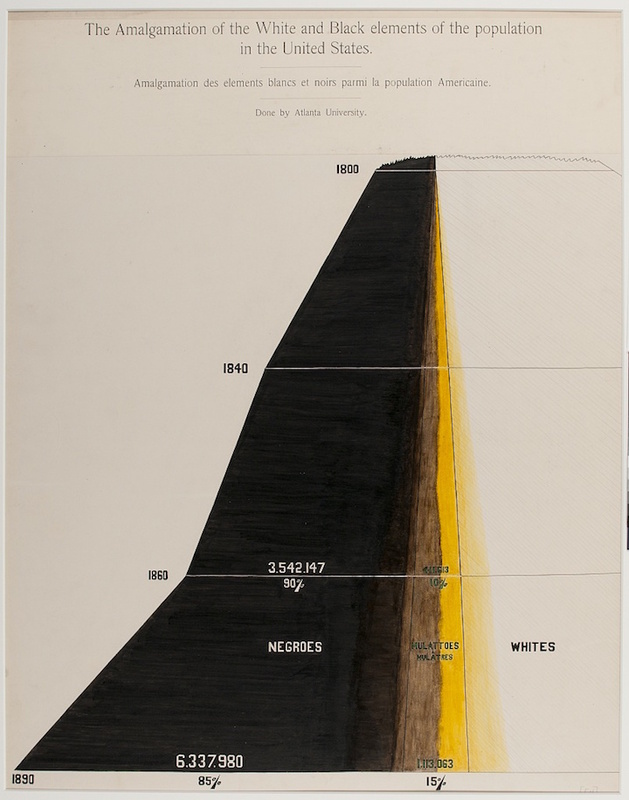 Du Bois himself would go on to rise to national prominence as leader of the Niagara Movement, a group of African-American activists campaigning for equal rights, and as co-founder of the National Association for the Advancement of Colored People (NAACP) in 1909. 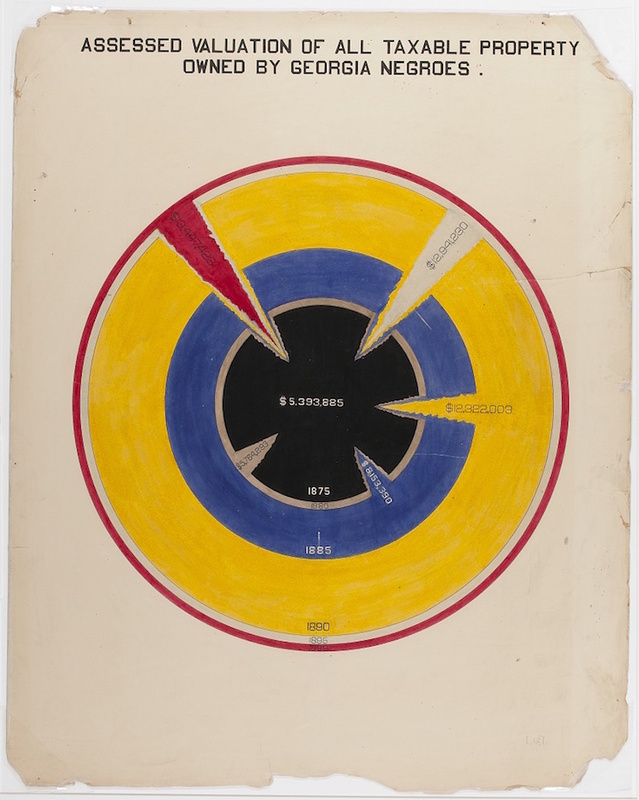 Learn more about the life and work of W. E. B. 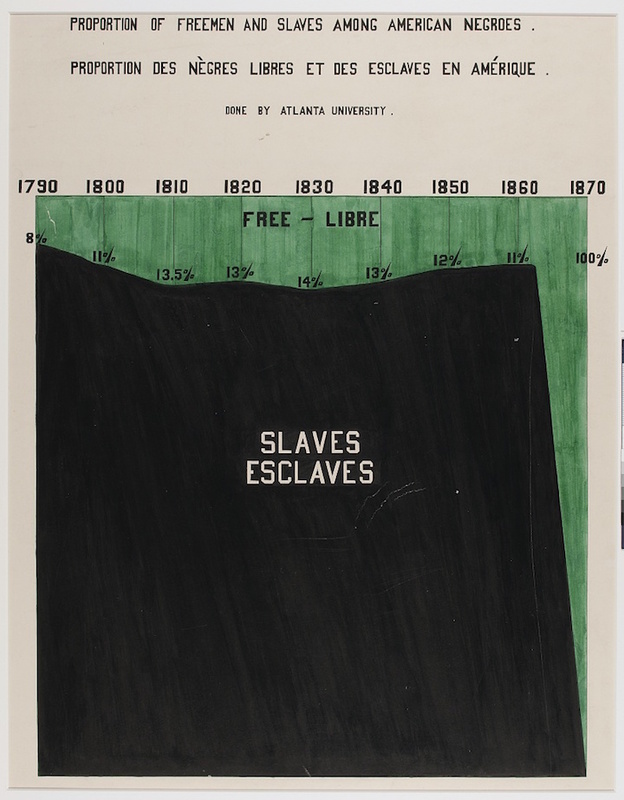 Du Bois in the highly recommended two-time Pulitzer Prize–winning biography from renowned scholar David Levering Lewis. 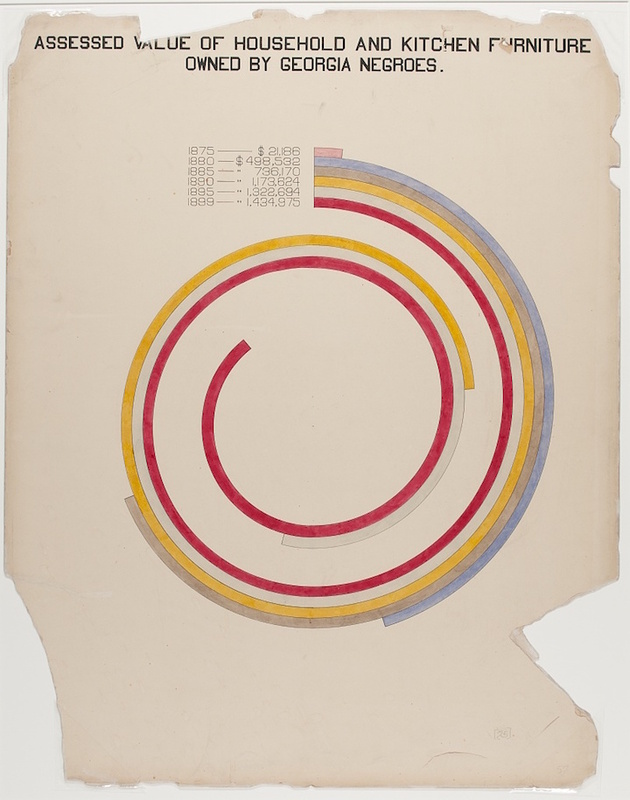 For more on the power of infographics and data visualisation check out David McCandless’ wonderful Information is Beautiful (2012).